Also known as an immediate cremation, a direct cremation excludes any visitation, funeral or ceremony. However, we can accommodate family members who want to identify the deceased or wish to briefly say a final goodbye. As with all of our cremation services, our staff procures all the legal paperwork needed from the Medical Examiner, completes the death certificate and files it with the state and the city and transports the loved one from the place of death to the crematory. The deceased is cremated within days following the passing, providing an efficient and economical way to deal the physical remains. The family may then choose to keep the cremated remains in the home, inter them or scatter them in a significant location on land or at sea. Portions of the ashes may also be incorporated into keepsake jewelry or sculptures of solid glass. 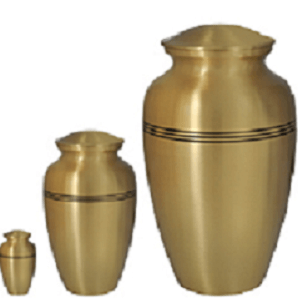 Direct cremation is the most basic of our cremation options. This may be the perfect choice for those who are highly conscious of the costs related to final expenses. When selecting a direct cremation with Scarpa-Las Rosas Funeral Home, your love one is cared for with the highest level of respect and compassion. They will be tended to by certified cremation technicians who are attentive to every detail of the process. Your loved one’s cremated remains will be made available to you as quickly as possible. We are available to answer your questions, address your concerns and provide our support. Since it is universally agreed upon by grief specialists that some form of service or ceremony in honor of the departed is required for the healing process, we encourage families to contact us at a later, more convenient date to arrange for a memorial gathering. Such an event can take place at any time and in the setting of the family’s choice. This allows for great flexibility in accommodating the differing schedules of those who will be in attendance.